Lifeless Planet: A New 3D Action-Adventure Game from Stage 2 Studios: Stage 2 Studios Signs Worldwide Publishing Deal with Lace Mamba Global for New Indie Video Game "Lifeless Planet"
Stage 2 Studios Signs Worldwide Publishing Deal with Lace Mamba Global for New Indie Video Game "Lifeless Planet"
PALMER, ALASKA — Stage 2 Studios, LLC today announced an agreement with UK-based adventure game publisher Lace Mamba Global for worldwide retail and digital distribution of “Lifeless Planet,” an upcoming action-adventure by David Board. 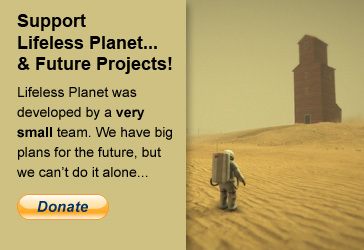 Lifeless Planet recently captured the attention of the gaming community through a successful crowd-funding campaign at Kickstarter.com which surpassed 200% of its funding goal. 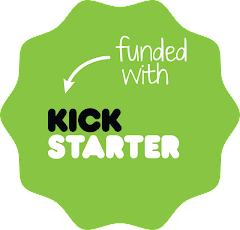 In addition, the game project garnered 625 pre-orders, making it the most popular action-adventure game of all time on Kickstarter. Lifeless Planet is a third-person cinematic sci-fi action-adventure. The game is slated for release on PC and Mac by the end of 2012. Inspired by the recent discovery of possible Earth-like planets outside our solar system, Lifeless Planet will give players the chance to undertake a mission to one of these distant worlds. However, they will soon find the planet is not a “new Earth” but instead is a barren wasteland. Exploring the inhospitable world and searching for answers leads to an even more puzzling discovery: an abandoned Cold-War era Soviet laboratory. Is this really an extra-solar planet, or was this mission just a hoax? Before the astronaut protagonist can uncover the truth, he finds himself struggling to survive in the face of a dark and deadly presence. When a mysterious young woman appears and saves his life, he must put aside his skepticism and follow her...or die! stumbled upon the story about the game on ktuu.com and i must say-it looks awesome! i am a huge sci-fi nerd so i am looking forward to playing the game some day!